it is possible to create a long term business if you can get a concept generated that works. You can demonstrate that there is a need for what you offer in the market. If you have a product or service that the general crowd of consumers out there is willing to back, then you may have a real winner on your hands. You can use the money that is generated through crowdfunding to help you get the business off the ground. Maybe you need money for advertising. Perhaps you need funding to help you with creating the product or getting inventory in place. It could be the packaging and shipping. The bottom line is that many businesses lack the startup funds. You may have a really good idea on your hands, but no way to promote it. The lack of investors out there willing to give you a chance can be frustrating. Many lenders fail to give loans even if you have a great business plan. They simply don’t want to take the risk of not getting the money back. 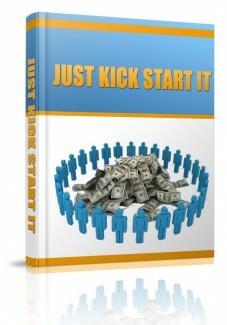 You can even pre-sell the concept of a service or the product to help you generate the income you need to get started. You can use that product or service as a reward which we covered in a previous chapter. By getting a cash flow in place that you don’t have to pay back, it can be the foundation for a very profitable long term business. As your business gets off the ground, let people know about it. They are going to love to see the history in the making for that business. They aren’t going to just donate money and then it gets forgotten. Help them to see the true value of what the business got out of it. Likewise, the business should be willing to give back. Set a good example by also donating to other crownfunding requests as your business makes profits. The fact that you were successful in making money can encourage people to continue donating to other requests. This is the way to help boost the economy so that it is getting back off the grown and climbing. If getting the money in place is what is holding you back, consider crowdfunding. It can make the difference between your product or service getting out there or not. It can also help you survive that very crucial first year where more than half of new businesses fail. It isn’t due to a lack of dedication or the quality but lack of cash flow. This concept can change all of that, boosting the overall economy around the world! Up to this point, we have been talking about all of the right things to do regarding crowdfunding. However, it is important to point out some of the common pitfalls that people get caught up in. Being aware of them means you can take action to prevent them instead of succumbing to them. You have to take the time to read the details for a site platform. It is as simple and as difficult as that. The reading can be dry and boring, but you need to take note of what you are agreeing to. Once you click that you agree, you are legally bound by those terms. When possible, offer rewards. They will generate more donors for you than if you don’t give them anything in return. However, you also have to make sure you don’t spend so much money on the rewards that you aren’t generating the amount of money when all is said and done that you need for the campaign to be successful. A crowdfunding campaign has to have a timeframe, and if you don’t allow enough of it, then you can fall short of your goal. This can be hard to gauge though because too long of a timeframe can cause people to lose interest. They won’t have that desire to hurry and donate money and you need that so that your campaign generates traction. Don’t ask for more money than you really need! With crowdfunding, the less you need the more realistic it is that people will be able to contribute enough. If you need $10,000 don’t ask for $15,000! If you need $800 don’t ask for $1,000. On the flip side of that, don’t ask for too little. If you don’t ask for enough money to complete funding for the idea or project, you are closer, but still not able to move forward with it. Keep in mind that rewards can cost money and that there are fees associated with the site platform you use. Crunch numbers to make sure you calculate all of that in and then you set your dollar figure to ask for with that campaign. Spreading out your marketing through all branches of social media, emails, and reaching out to your contacts is very important. You can’t get your campaign to go viral if you don’t have enough contacts at your core to work from. In the next chapter, we will go over the right platform selection. It is really a large piece of the puzzle for you to fit together. Don’t rush when it comes to selecting the platform to work with for a given campaign. Look around, ask questions, and really pay attention to what is being offered as well as to what isn’t. Spending a few hours on research can really make the difference between your campaign generating the funds you asked for and it falling flat. Ask yourself what would result in you giving your money for a given idea or project. You also have to think from their point of view. Did you give them enough information in the right format to make it worth it in their eyes?